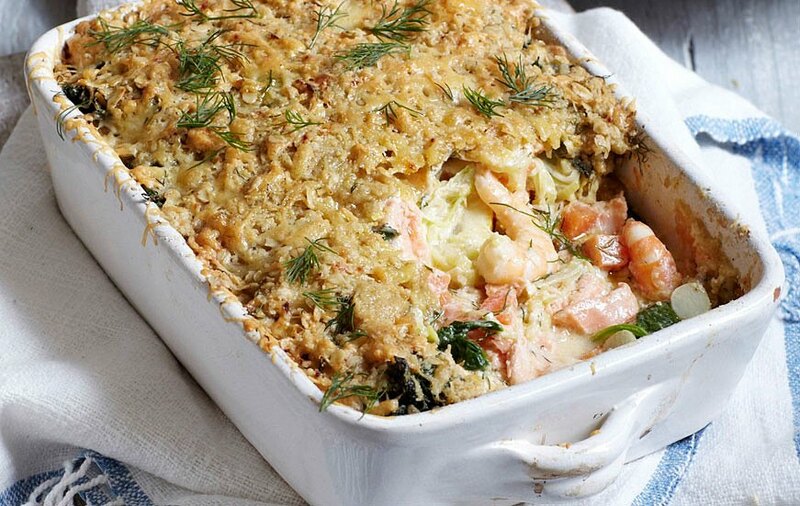 This aromatic and thoroughly delicious fish pie comes from great nutritionist and cook Jessica Andersson. It's quick and easy to prepare and makes a perfect warming supper on a cool autumn or winter's evening. Preheat the oven to 200°C/400°F/Gas 6 and lightly grease a deep-sided 20cm/8in square ovenproof dish. Start by making the crumble topping. Put the flour and salt in a large bowl, then rub in all but 1 tablespoon of the butter and 1 tablespoon of the oil, using your fingertips, until you have a moist crumble. Add more olive oil, if necessary. Add 2 tablespoons of the chopped coriander, the mixed herbs and half the grated cheese and the spelt porridge flakes. Chill in the fridge for 1 hour. Bring a saucepan of water to the boil over a medium heat. Add the leeks and carrots, reduce the heat and simmer for 5 minutes, or until just tender, then drain. Meanwhile, mix together all the sauce ingredients, along with the remaining coriander, in a non-metallic bowl. Add the salmon and king prawns and coat well with the mixture. Mix the carrots and leeks with the fish, then spoon the mixture into the prepared dish. 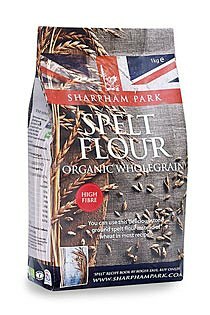 Spread the spelt crumble evenly over the top and finish with the remaining grated cheese. Bake in the oven for 20 minutes, or until the top is crunchy and the salmon is cooked. When the crumble is almost ready, melt the remaining butter in a large saucepan over a medium heat, add the spinach and cook for a few minutes just until the spinach leaves have all wilted. Season with salt and pepper to taste. Remove the crumble from the oven, sprinkle with extra dill and serve hot with the spinach.